The quality and performance of various insulations can be tested using the Insulation Tester. 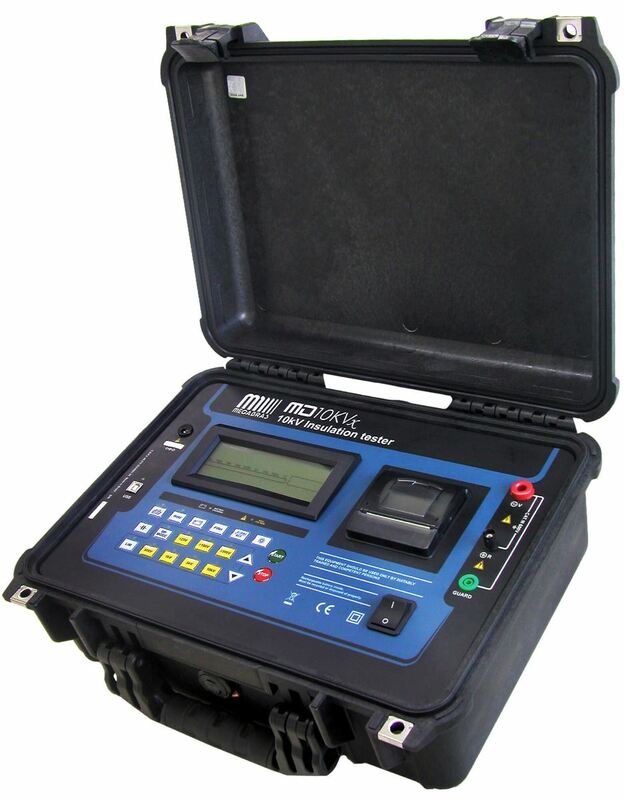 The MD-Insulation Tester acquires insulation resistances up to 10 terra ohms. The MI - Megohmmeter offers testing potentials up to 20 kV. The insulation tester is needed for any kind of newly built installation or reconstruction. Insulation testing is indispensable for example in the process of recoiling electro motors. The use of insulation resistance tester is therefore highly recommended for motors with longer running time, in order to better estimate the remaining life time. There are so special, sure-footed housings available for the megger, in case it needs to be used on measuring rather adverse conditions. The Megohmmeters are equipped with special memory, RS-232 interface, real time clock and printer, for more precise insulation tests and record. In addition to that, Megohmmeters are equipped with an automatic discharge of the dut, eg for capacitive Testees. All Megohmmeters are calibrated from production, and containment, Depending on the application, a four-lead measurement Possibility for contact control. The mobile insulation resistance testers are delivered with all the measuring auxiliary components, tested as test leads, clamps, batteries and carrying bag. For the stationary insulation testing device IL3801, the insulation test voltage is generated through a programmable, fully electronic source. Those insulation resistance testers containment back-facing terminals, digital I / O, remote control software, as well as DLL, LAN and USB interfaces.